Chrichton's World: Review Deadpool 2 Super Duper Cut (2018): Massive improvement on the original! Review Deadpool 2 Super Duper Cut (2018): Massive improvement on the original! The original Deadpool was a little underwhelming as I found it to be lacking in coherency. It seemed to be more like several sketches stitched together in a narrative that wasn't quite compelling. The sequel is far more focused with a story that actually was entertaining and surprising. I was fearing the worst since I also didn't find the jokes of the original to be that witty. I thought it was pretty juvenile and far from clever. Well, this sequel might still be juvenile in some scenes it certainly increased the wit and pop culture references. I was almost laughing non stop this time. And I also found the action to be better choreographed and it had a whole lot more impact. This time around the multitude of characters actually do serve a purpose in relation to Deadpool and aren't just glorified cameos or canon fodder. Old cast members return and are more involved like for example Dopinder (Karan Soni) who is freaking hilarious. 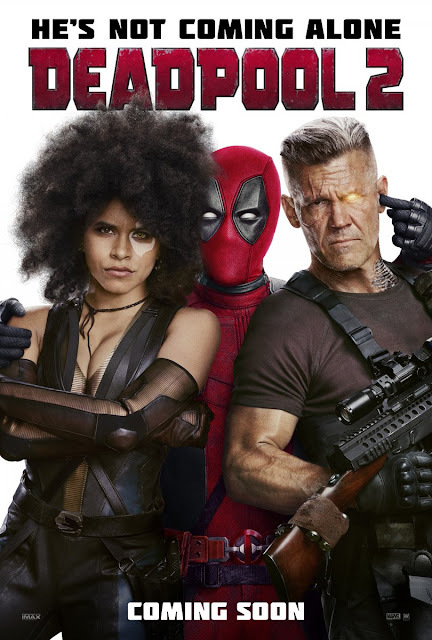 But the newer ones also make their mark like Josh Brolin as Cable and Zazie Beetz as Domino. Julian Dennison impresses yet again. Last time I had seen him in action was in Hunt for the Wilderpeople where he already had shown to have excellent comedic timing. Next to being able to handle serious and dramatic material like a champ. In Deadpool 2 he continues to show his strengths as an actor and I am pretty sure we will get to enjoy more of him in the future. If you ever had doubts about Ryan Reynolds being Deadpool then this sequel certainly will convince you. His crazy antics might not appeal to everyone but he definitely brings out the best that Marvel has to offer. I hope it remains that way now that Disney owns 20th Century Fox. Worst thing that could happen to Deadpool is to make it PG. The whole concept of Deadpool is R Rated. To change that would ruin everything. But I trust Disney to let their greed make the decision for them. So yes, this sequel is everything I hoped for and then some. It actually surprised me by how compelling and entertaining it was. A must watch!